Do you want to give Mom something she can really use this year? 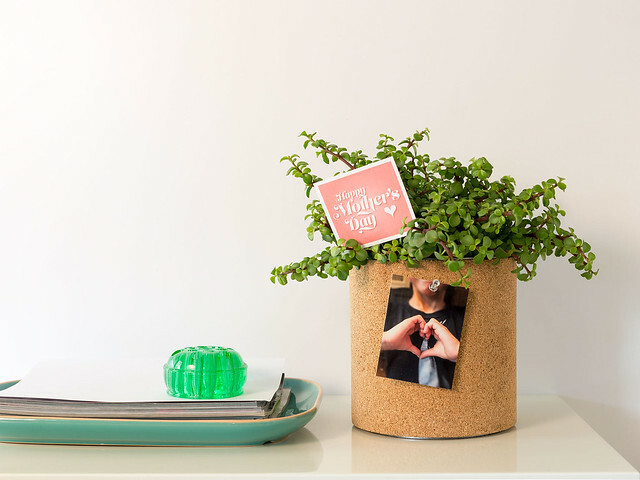 This cork board planter is the perfect gift for Mom's desk or kitchen counter. She can pin her favorite photos or reminders right to the outside. Because cork is a wood product, this project is completely customizable. You can add a border or pattern with paint or stain. Attach a great kid photo and a card and you are all set. You will find the full instructions and more photos over at DIY Network.